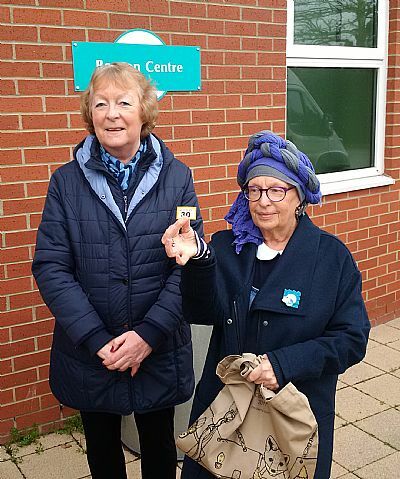 On 31 Dec 2018 SURE Treasurer Carole Summerfield joined Capella Rew and her fiance Danny Meakin at the Beacon Centre to watch the drawing of a Raffle. Danny works at Mulberry in Bridgwater and as Capella's mother Kim is having treatment at the Beacon Centre, Danny "made a pitch" to Mulberry for a prize to raffle. Mulberry donated a handbag and the tickets were sold amoungst friends, family and work mates. They raised £400 for SURE. 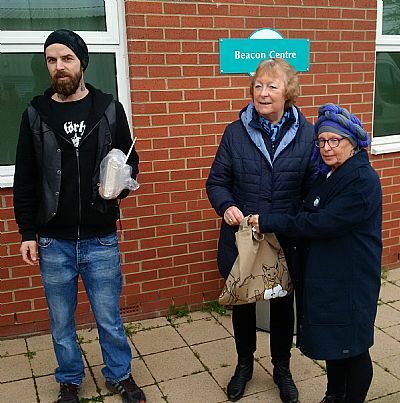 In the photos are Carole Summerfield, Danny Meakin (holding the Mulberry handbag) and Kim Rew, who drew the winning raffle ticket.